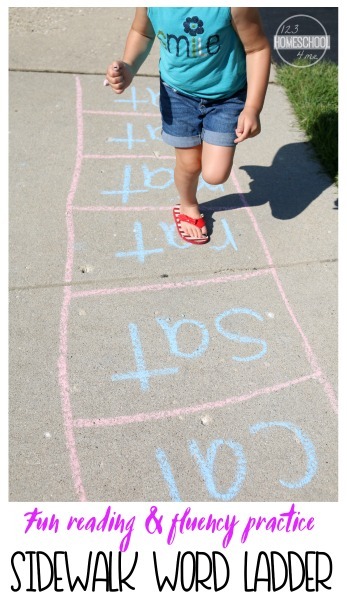 Lay a proper foundation for your child to become a successful reader by setting up hands-on reading games and activities like this fun and interactive word ladder. 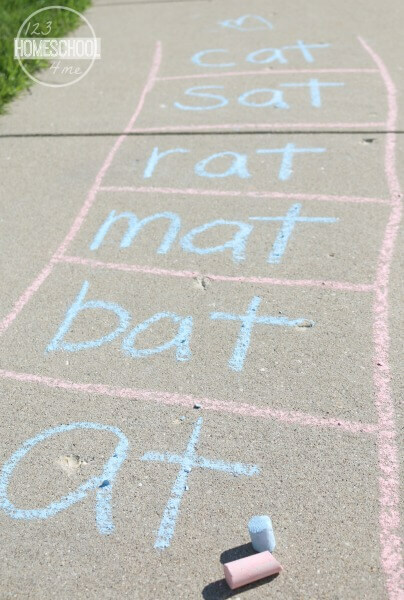 This Sidewalk Word Families is a great way to practice reading skills and fluency with your Preschool, Kindergarten, or 1st-grade child. It is simple, practical, and makes learning to reading fun! Knowing the sound(s) each letter makes is key to learning how to read. Once your child begins to associate each letter with its sound(s), it is time to work on reading simple CVC words. Visual learners especially may enjoy learning to read with word families. Word families are groups of words that contain a similar pattern. For this Sidewalk Word Families activity, we worked with the word family, /-at/. Each word used in the word ladder ended with the word /at/. With some sidewalk chalk, head outside for some reading fun! The fresh air and movement involved in this reading activity will make reading fun for your child. 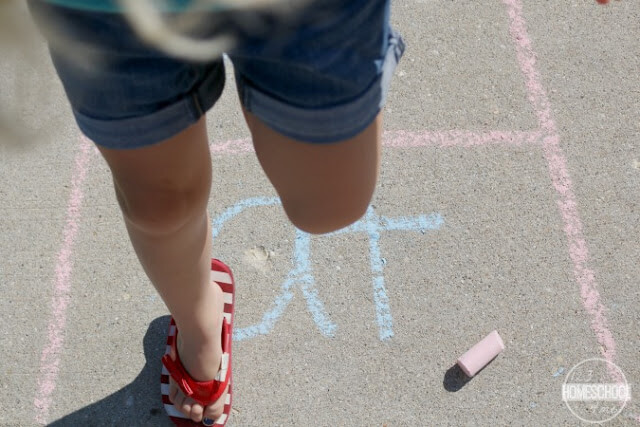 Draw a ladder-like shape on the sidewalk and write a word containing the word family pattern you would like your child to work on in each space. 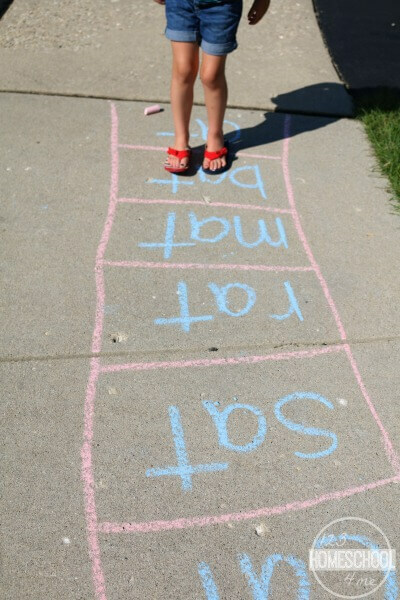 Have your child begin at the bottom of the word ladder and read each word while moving up the ladder. Encourage your child to make the first sound /b/ and blend it with the word family, /at/ to make the word /bat/. Move to the next word…. For your kinesthetic learners, add some fun movements to the activity by having them jump, crawl, hop on one foot, etc. up the word ladder. Once they reach the top, do a little jig if you’d like, but the work is not done yet! Now it is time to turn around and build fluency and speed by reading the words now moving down the ladder. Continue this activity with other word families, such as /-in/, /-op/, /-am/. It is a simple reading activity that can be used to encourage reading skills all throughout the day. Do it once in the morning, after lunch, and before dinner! Have fun moving and learning! I think this activity will appeal to all kinds of learners– especially those that do best with movement and patterns.